If your dog or cat has fleas or if you are just trying to prevent your pets from getting fleas, you may want to give the animals flea baths. It is not always easy to give a dog or a cat a bath, especially if the animals do not like getting wet and do not want to get in the tub in the first place. However, you can follow a few simple steps to easily give your pets flea baths as often as you need to. Don’t forget to use an effective flea spray. Rather than washing your pets in the bathtub where you and your family members take showers and baths, you should invest in a pet tub for a few different reasons. Not only is it easier to keep your own bathtub clean when using a pet tub, but your pets may feel more comfortable inside the pet tub that is conveniently designed for them. Rather than bending down and putting a strain on your back while trying to carefully wash your pets during a flea bath, you can stand up and wash your pet in the home or outside in the backyard. 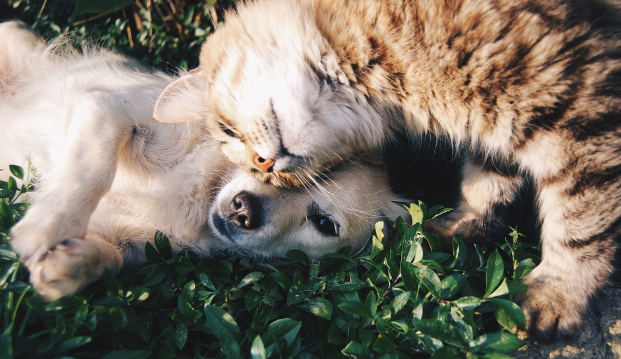 Before you get started, you need to make sure that you have a high-quality flea shampoo available to use on your cats and dogs. You may need to purchase different flea shampoo products for the animals in your home if you have both cats and dogs. A good flea shampoo contains a special medication that cleans the fur to get rid of excess dirt while quickly killing any fleas that may be lingering around on your pets. It will get rid of the fleas and keep them from returning so that your pets no longer need to deal with feeling itchy and irritated. While you will need to get your pets wet with water before carefully applying the flea shampoo, you should check the water before you even begin rinsing. The water should never be too hot because it could end up scorching the skin and causing your animals to become overheated. Make sure your pets are completely comfortable during the bathing process by using lukewarm water. It should not be too cold or too hot, but it should be the perfect combination of the two to make the water feel just right. When washing your pets, you should always start with the body instead of starting with the face. Many pets get irritated when water gets on their faces and in their eyes, but you can keep your pets calm by wetting their bodies, gently rubbing the flea shampoo from the neck down to the legs, and then leaving the shampoo to sit for several minutes before rinsing it off and then carefully cleaning off the face. Pay close attention to the ears because fleas often like to hide out in the fur around the ears. The flea shampoo can take its toll on the fur of your pets, leaving it feeling excessively dry. The good news is that there are a lot of great conditioning products that are safe to use on pets. Rather than using the conditioner, you would normally put on your own hair, you should buy one of the soothing conditioners that are available and are made specifically for cats and dogs. There are even scented options that will leave your pets smelling wonderful while making their fur look much cleaner, softer, and healthier than before. Once you have shampooed and conditioned, you can wrap a towel around your pets to help them dry off. However, if you do not want your animals to deal with running around the home with wet fur because it irritates them, you can always dry their fur. There are pet dryers available at affordable rates that are completely safe to use on different animals. These dryers will make it that much easier for you to get the fur to dry so that you will not have to worry about your pets getting water all over the floors throughout your home. Follow these simple steps when you are giving your pets flea baths and you should not have much trouble at all. If you get a pet tub, it may be that much easier for you to carefully wash your pets and even condition their fur because you can keep them enclosed inside the tub instead of worrying about the pets running back and forth inside of your bathtub while you are trying to get water on their bodies and the shampoo in their fur. 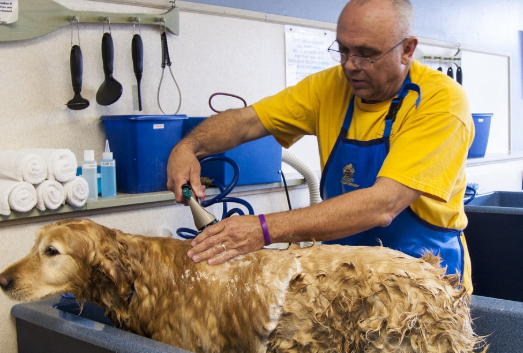 Giving an animal a bath is not always the easiest of tasks, but with these helpful tips, it should get a lot easier for you.